As part of its’ Environmental Management System, Harrison Group is always working to minimise the use of single-use plastics and follows a comprehensive program of recycling materials that are in in everyday usage. We have recently recycled 46 old mobile phones through a service offered by Oxfam. You may spot some familiar classics in the photograph – a few of them are still working! 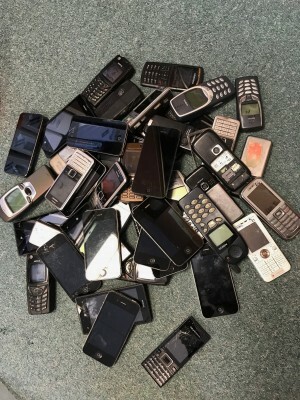 Through the recycling process, if the phones are in a good enough condition to be refurbished, this will be carried out and they will be put to good use once again. Mobile phones that are in a poor condition are passed on to specialist recyclers. They systematically dismantle each constituent part, and the materials – including precious metals – are then re-used in the industry.